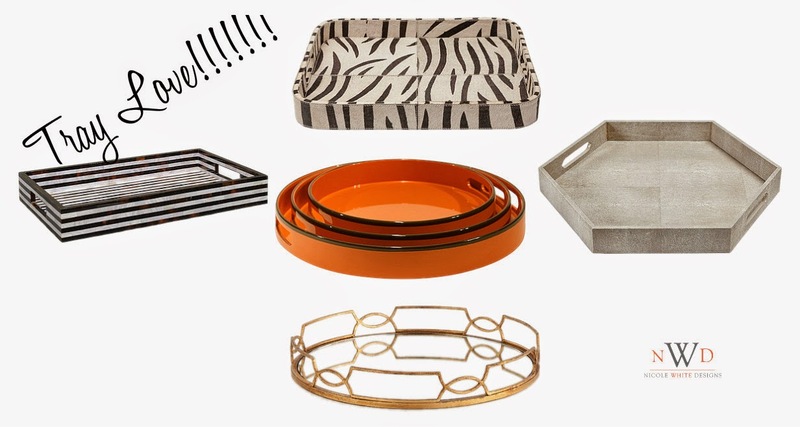 If you've followed me on this blog over the years, then you know I have a love affair with trays, aka there's a 99% chance a space I design will have a tray, or two. A tray to me is not only functional i.e. a perfect item to hold a dinner plate or some snacks, but they're a great opportunity to add texture, color and layers to any large surface.They're also one of the most budget friendly items you can add to a space. Hint: I've never spent over a $50 on a tray. 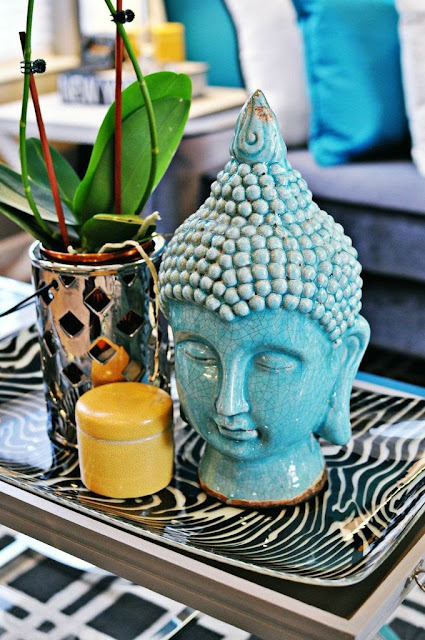 For this project, I used this textured tray from HomeGoods, as the foundation on which to help add depth to the table and draw your eye upward to the mini statue of the diver. This gem of a reflective gold and white tray from Target didn't need to be messed with. A simple bouquet of flowers is all it needed to showcase it's beauty. This collection of coffee table books at this home, needed a great pairing. This gold leafed tray, stacked with simple candle holders, an orchid and coral did the trick. Sometimes, simple is best. This client is an avid reader, so I added some of his favorite books to this coffee table tray. Style and function. 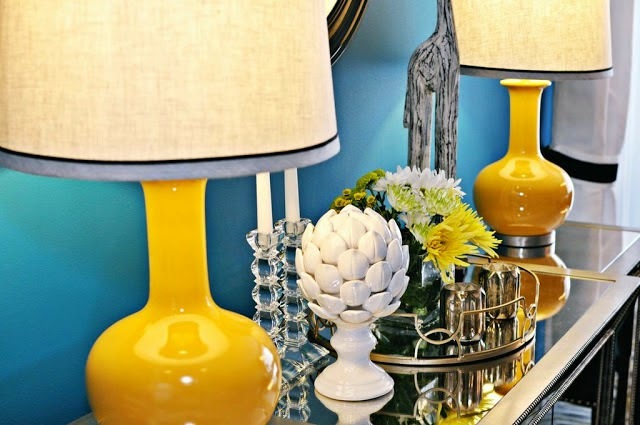 Don't be afraid to add personal items such as books and little mementos when styling your own tray/vignette. I remember this installation well because I had two trays that I loved equally but couldn't decide which one to use. Then voila, I decided to layer the thinner glass zebra print tray atop on the wooden tray, and just like that, a little symbiotic tray relationship was formed. In a nutshell, I've never met a tray I couldn't love or use somehow so stack up on these gems whenever you stumble on em. And don't be afraid of trays that have a little chip here or there. Those can easily be touched up with a little nail polish or Sharpie action or just be left alone. A little dent or scrape just adds character. Do you use trays in your own home designs? What's a favorite place to score a good tray? Holla. I cannot live without a good tray too!! Love trays and you are displaying some beauties. these are beautiful, great accents for any room! Oh I am with you on the trays! I love styling them on a coffee table. Lately, I cannot make it out of Target without one. I'm blaming you, Nate Berkus! Such beautiful styling examples Ms Nicole! Target and HomeGoods are my go to places but i also really like West Elm! Omg I love trays too! Beautiful! Love each one and the vignettes you design for them.